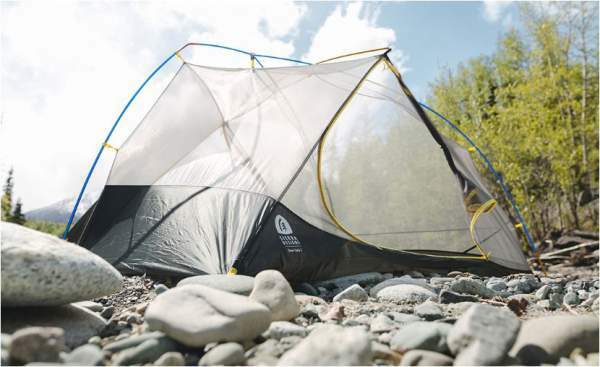 The Sierra Designs Sweet Suite 3 Tent is a part of a completely new lightweight series launched in September 2017 for the season 2018. This is a 3-season 3-person tent with 2 doors. Find out more in the text below. Sierra Designs Sweet Suite FL 3 Tent – 3 Person, 3 Season. Dual stargazing configuration with the fly. I mentioned that the Sweet Suite 3 is a part of a completely new series launched recently (September 2017) for the season 2018. The smaller tent from the series is presented in my another post. This is a lightweight tent in the true sense, with the packed weight of 4 lb 4 oz (1.93 kg). 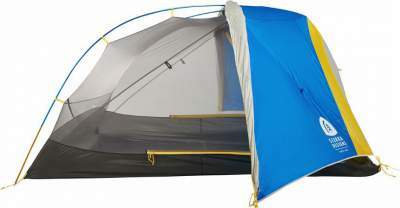 This is also a 3-season two-layer tent, as typical for this type. They have made quite a confusion by describing it as semi-freestanding. In fact, this is a tripod Y-shaped hubbed pole geometry, perfectly freestanding on any terrain. But if you are not familiar with this terminology, please read more in my separate text. Y-shaped tripod-style freestanding pole design which keeps the tent up even without stakes. They have made poles prebent; the one on the back is so much curved that it makes the back wall almost vertical as you can see from the pictures. Those on the front are less prebent, but you have the same feature there as well. In addition, you also have a brow pole shown below, which makes the side walls vertical. So livability in this tent is improved with all this; it is not all about the floor surface. The hubbed pole design and the extra ridge pole. 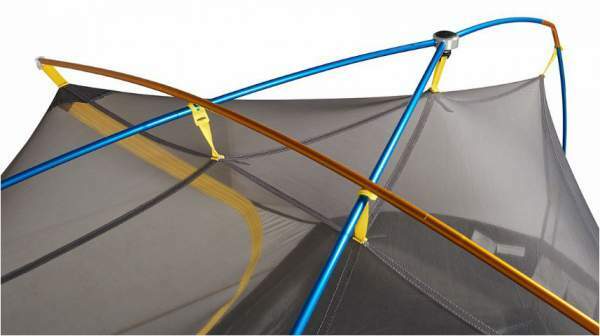 The Y-shaped pole system is already used in many tents on the market. So what you have here is not unique but they have brought it to perfection. The fly is designed with stargazing features shown below, which means that you can roll it up from any of the two sides and fix, and you can deploy it easily in the case of a sudden rain. This is introduced also in their another new series launched parallel with this series, i.e., in the Meteor 2 and Meteor 3 tents. The fly rolled up from the feet zone. The fly rolled up from the back. Now, in view of all these features, a few words about the best use and users of this tent. If the weight is shared among the users, then it is light enough for backpackers. 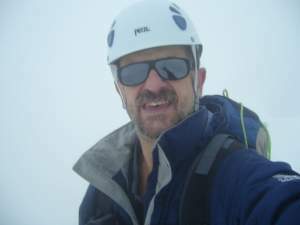 This also implies that it is great for many other outdoor activities, regardless if it is carried in the backpack or on some vehicle like a motorbike, a bicycle, a kayak, or a car. 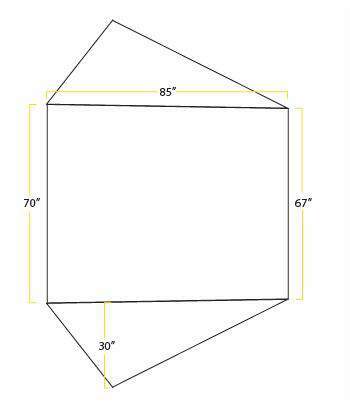 Below you can see its dimensions and the floor plan; it is not completely rectangular, and the width of the narrower feet zone is only 170 cm. So this is enough space for three narrow pads, but ideally, I would use it for two people only. Sweet Suite 3 Tent dimensions and the floor plan. In the case of two users, you can combine it with 2 lightweight cots and you will have some extra storage space under the cots, even a dog may fit inside the tent in such an arrangement. See some nice cots here. All materials used in the construction are lightweight; this is a polite expression for saying very thin. So the fly is 20D nylon ripstop, and the floor is 30D nylon ripstop. The main inner tent is all 15D nylon No-See-Um mesh. They have shed the weight in poles by applying the mentioned Y-structure and also by using the DAC Featherlite aluminum. Here, DAC means Dongah Aluminum Corporation, a well-known pole manufacturer from the South Korea. You can see at some places the letters FL in the name, this is from the Featherlite poles. The fly and the floor are with 1200 mm rating achieved by a Silicone coating, the materials are with the notation FR CPAI84 both in the fly and in the floor. Here, FR CPAI84 means Fire Retardant by the standards of CPAI (Canvas Products Association International). Side view with the fly on. Here, one vestibule is rolled to the sides. Type: semi-freestanding, 3-season, 3-people tent. Dimensions (L x W): 85 x 70/67 inches head/foot (216 x 178/170 cm head/foot). Floor area: 40.4 ft² (3.75 m²). Packed size (L x W): 17 x 6.75 in (43 cm x 17 cm). 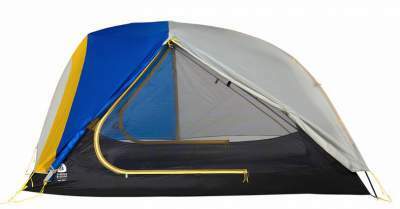 *This is with the footprint added (see details below) for comparison because other tents have it in the package. When the footprint weight is added, the total weight is 2194 g, so it is considerably lighter than the other two tents. If this is shared among users, it is good enough even for backpacking. **This is with the footprint added for easier comparison. So this is far more space per kilogram as compared to the other tents. The space per person is practically the same for all three tents. See how they compare with the prices at the moment of writing this text: $330, 300, 460. Weight: 9.3 oz (264 g). Dimensions: 81 x 66/62 in (head/foot) (205.7 x 168/157 cm (head/foot). Storage bag size: 10 x 7 x 0.8 in (25.4 x 18 x 2 cm). 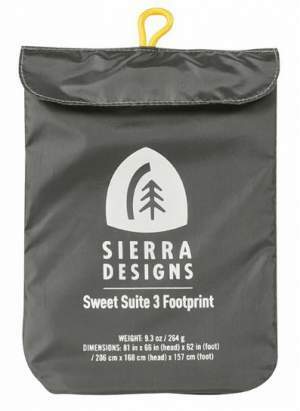 In the conclusion of this Sierra Designs Sweet Suite 3 Tent review, to stress again its very specific features, its great weight, but also its price which is very steep. 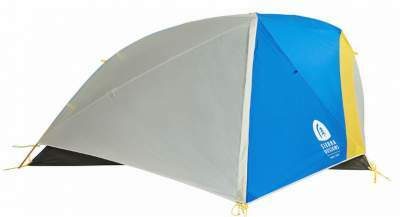 But this is a reliable and versatile tent which will give you all protection from the elements. As always, I stress that I trust the brand behind this tent and I can fully recommend it. 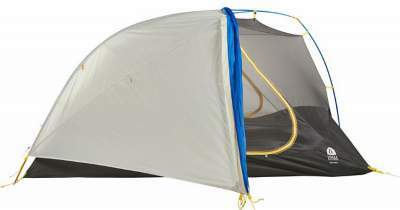 This tent is on the list of my top 10 backpacking tents for 3 people. I have already mentioned a few news tents launched by this brand for the season 2018, so you can see them all in my page about tents and shelters. Check also this Big Agnes Copper Hotel HV UL3 Tent which offers much more protected area under its porch and vestibule. If you need a basecamp-type 3-person tent, check this Vango 350 tent with 2 rooms.